As we approach the end of 2017, I reflect upon some of the past few years’ most popular hardware and software releases with a sense of gratitude. The tools we use to produce music are getting insanely good. If I look back on what was available to me when I really began studying and practicing digital audio (with my humble Pro Tools 6.9 with no third-party plugins setup), the current state-of-the-art seems even more astounding. Here are some trends that I believe will be commonplace within several years. iZotope Ozone 8 and Neutron 2 have sealed the deal. Automated processing, or software that makes suggestions regarding equalization, dynamics, etc. dependent on the program material, is here to stay. Expect to see more of this in the future. 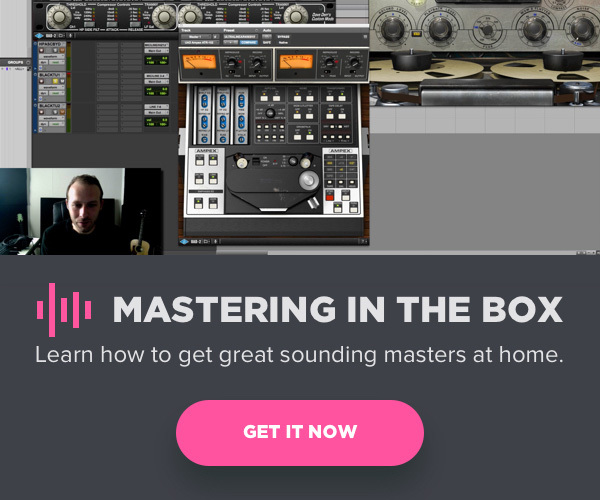 I believe other companies will start following suit, and it won’t be uncommon to be able to apply processing to an entire multitrack, leaving the user with a “finished” mix and master within less than a minute. As a result, will music become even less dynamic, entirely bereft of human artistry and emotion? 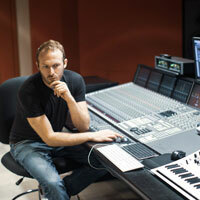 Will the job of audio engineer become obsolete? I’m sure we will find the answer to these questions on many a Facebook thread. Software emulating Hardware has been around for some time now. 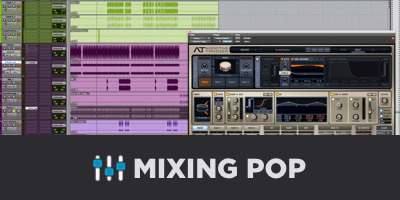 Equalizers, Compressors, Synthesizers, Tape Machines — you name it, it’s been modeled. But when we run out of individual pieces of analog gear to emulate, what’s next? I have an exciting theory about where we’re headed. The idea of incorporating hardware emulation into the DAW workflow was taken a step further by the brilliant Brainworx Consoles E, N and G. Rather than loading individual inserts of Neve and SSL-Style Channel strips, Brainworx has modeled entire consoles, down to the minor differences between individual channels. Now we can impart the sense of sonic cohesion onto an entire mix while using a very user-friendly workflow. 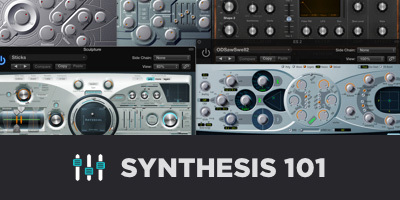 Combine this with the workflow of the Effect Rack from Soundtoys and the three-dimensional look of Analog Lab by Arturia, which allows you to see the Virtual Synths in an inviting space, and the DAW is beginning to feel like less of a cold, heartless computer program, and more like an actual studio. In fact, let’s run with this idea. Universal Audio first gave us Ocean Way Studios which is a faithful emulation of one of the world’s most beautiful acoustic spaces, and just released the Ocean Way Microphone Collection which gives us access to emulations of microphones found at the studio (assuming you have a Townsend Labs Sphere). Hypothetically, between all the aforementioned technology, we’ve almost created an entire virtual studio end-to-end. Imagine being able to purchase an entire Ocean Way, Electric Lady or Abbey Road bundle, in which you’re basically given access to everything that comes with these world-famous facilities. The outboard gear, the consoles, the sound of the physical space — everything. Throw in a “virtual assistant” that you could bark orders at, and I don’t know a single audio engineer that wouldn’t shell out thousands of dollars for this expansive software suite. Talk to anyone that has setup or used a surround sound rig with a DAW and they’ll probably all say that it can be a pain. That’s what’s so refreshing about where we’re headed with VR. Fewer wires and the ability to enjoy immersion in a confined space. While we may not be living in a Lawnmower Man-style dystopia within five years, VR and AR (Augmented Reality) will become an increasingly important means with which we consume media. The hipper companies will embrace this technology and help engineers break the confines of Left and Right. Hardware companies like Sennheiser are embracing that VR is the future of media. I’m excited to see if any of the major DAWs take the leap. Surround Mixing for theatrical releases will not be going away anytime soon, but we will no doubt be living in a world in which it’s easier for consumers to purchase and experience immersive media. I’ve never owned one, but the Slate Raven represents an important moment in Digital Audio Workstation history. Music mixing used to be a more tactile experience. But due to cost, space and ease of use, a mouse and keyboard replaced a console and outboard equipment as the tools of choice. The Raven suddenly allowed engineers to use their hands more freely and expressively. I believe it’s only a matter of time until touchscreens become standard. A keyboard and mouse will still perhaps be a part of the equation, but we’re already seeing companies such as HP and Dell embrace touchscreen desktops. Mac? Not so much. Regardless, I still believe that DAWs controllable via touchscreens are an inevitability. We’re also seeing unique approaches to physical control surfaces. I believe more surfaces in the vein of Softube Console 1 will be released within the coming years, allowing new school computer-based engineers to adopt a more old school approach. Whereas something like Console 1 helps the user obtain the vintage, analog workflow and feel, a product such as the Ableton Push 2 already feels like an instrument of the future. With sample editing, easy patch switching, modifying sounds and nearly seamless integration with Ableton Live, Push 2 not only feels like a futuristic control surface, it allows the user to rethink how music is played and made. We will continue to see similarly inspiring hardware released in the near future. For a long time, I’ve been collaborating with artists and producers as a mix engineer. I download a session, prep it, mix it, email it, incorporate the notes into revisions, repeat until it’s done and they PayPal me. I’ve worked with artists across America, and even internationally from places like China, Russia and South Africa. I’m still amazed at how simple this process is for the most part, but it’s all a bit impersonal. Recently I caught the writing bug again. I started working with a friend who came over to my place once a week and I must admit, I forgot how incredibly fun it is to bounce ideas off a fellow musician in person. As much as I love the convenience of making changes according to email threads, or maybe the occasional Skype call, I miss the personal connection and musical spark that occurs when you’re in the same room with someone. I envision a collaborative environment with high-quality audio and video, instantaneous changes made to the session, and zero latency/technical headaches. Essentially, users need to feel like they aren’t collaborating remotely. The technology hasn’t quite reached the standard it needs to, both in terms of cost and ease of use, but Avid has already conceptualized and developed cloud collaboration, and the technology will only get better from here. When imagining this and all the aforementioned advancements in digital audio technology, the future of music production looks very bright.